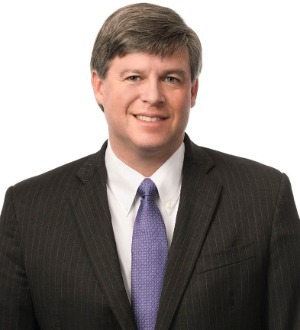 Lane Davis is a litigation partner based in Nelson Mullins Riley & Scarborough, LLP’s Greenville office. Lane has always enjoyed a diverse practice spanning numerous areas of complex litigation such as business torts, health care, managed care, securities, ERISA, Section 1983, covenants not to compete, employment, trade secrets, RICO, public corruption, franchise law, fiduciary claims, large will contests, wrongful death cases, product liability, utility disputes, class actions, professional negligence, and FLSA collective actions. Mirroring the diversity of his practice, Lane’s clients are predictably just as diverse and embrace a variety of product manufacturers, health care entities, hospital systems, health benefit plans, federal contractors, municipalities, a variety of public utilities, public service districts, police departments, chemical manufacturers, lenders, public officials, prosecutors, nonprofits, and individuals. Lane’s diversity of practice results not only from his curiosity but also his creativity and strategic ability. His ability to think outside of the box and solve problems has prompted clients to recruit Lane to their team regardless of the nature of their problem. Lane has significant courtroom and trial experience having managed litigation in no less than 12 jurisdictions.